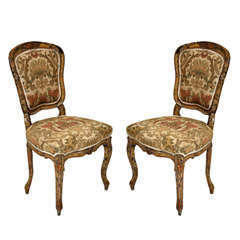 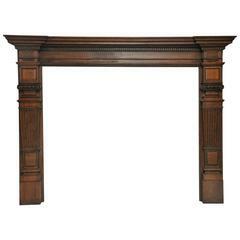 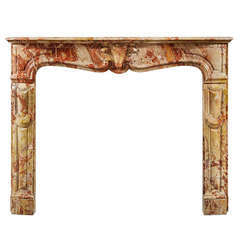 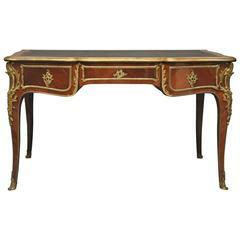 This French Rococo Louis XV Marble Fireplace Mantel is no longer available. 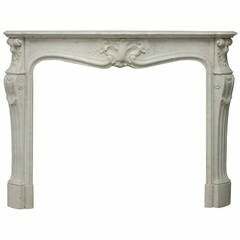 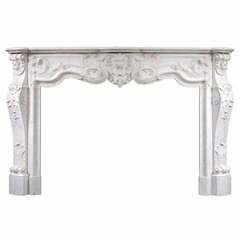 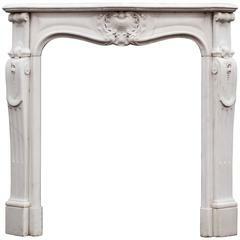 An important French Louis XV Carrara marble fireplace mantel. 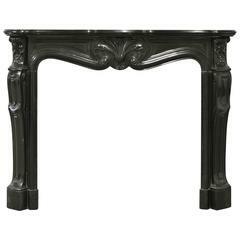 Serpentine top surface shelf, supported with intricately carved jambs ending in an acanthus leaf headed scrolled foot, the upper portion of jamb with floral and foliage decoration surmounted with c-scroll ancone (elbow). 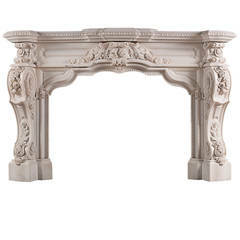 The frieze with central Rococo oyster shell cartouche surrounded with floral and foliage elements. 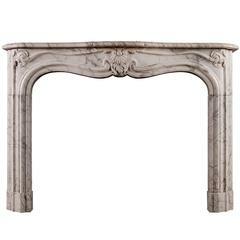 Fireplaces were invented in the 14th century at this time the "great halls" of castles and chateaus had an "open fire" in the middle of the room for cooking and warmth, later they were moved next to a wall with a flue built into the stone wall for ventilation. 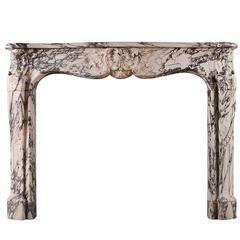 In the early 19th century after stoves and central heating existed fireplaces were used primarily for decoration and for gathering of family, a symbol of wealth as only the elite could afford them.